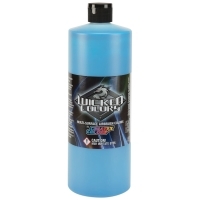 Discover a real breakthrough in airbrush paint! 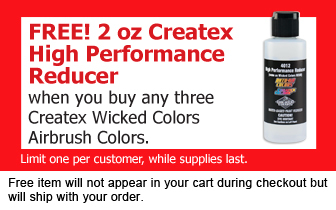 Createx Wicked Colors are highly pigmented transparent colors that offer excellent coverage right out of the bottle. They can also be over-reduced with High Performance Reducer to create very transparent colors — perfect for soft transitions and blends. 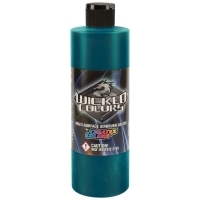 Wicked Colors are made with a highly durable binder suitable for direct exposure in exterior conditions. Standard Wicked Colors dry to a semi-gloss finish. 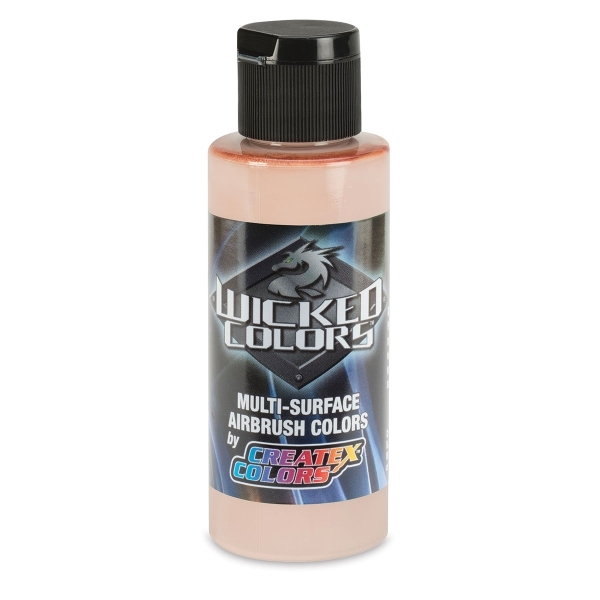 Wicked Detail Colors dry to a flat finish that, combined with a binder size of 0.1 microns, makes them perfect for illustrators and artists seeking the ultimate control with fine lines and detailed artwork. 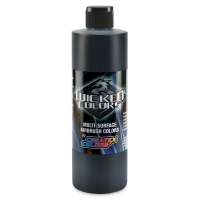 Click Here to see a PDF showing the difference in appearance of the Wicked Colors over black and over white. 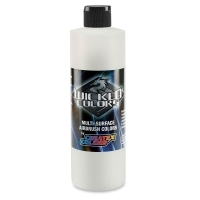 To view a PDF color chart, please click here.